Summary (from the inside flap of the book): When you read novel expecting to be entertained with a lightheaded tale of adolescent love, you may come to the last page to realize you've read something quite different. Will you be left still thinking about the inexplicable disappearance of a perfectly innocent little boy? Will you be picturing what it would be like to finally get the girl of your dreams? 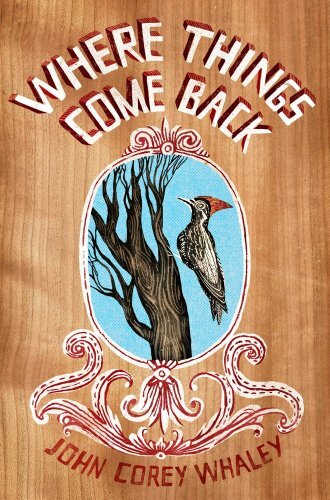 Will you be shocked by how the reappearance of an extinct woodpecker can change an entire town and the lives of the people in it? Or will you just obsess over those zombies and talking birds? Maybe when you read this story, you'll find that even in a small Arkansas town where everything familiar can disappear, there is wonder in the ordinary and the hope for a second chance. 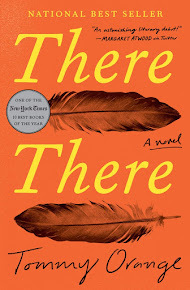 The Morris Award is given to the best debut novel for YA and Chair Teri Lesesne stated, "With plot twists and surprising connections, this is one of those rare books that does not come along often." The Printz Award is given to the best novel for YA. Chair Erin Helmrich said, "Straightforward, yet increasingly complex, this novel masterfully weaves together themes of brotherhood, friendship, loss and religious obsession." While I didn't love this book, I liked it and think it has lots of interesting things going on. I loved Cullen's family, their relationships (especially between Cullen and his brother Gabriel) and their dynamic. So often there are dysfunctional families in YA lit and this one has a "normal" family where they like one another and spend time together. I also thought it was a nice touch that Cullen's best friend, Lucas, lives with them most of the time and a big deal wasn't made of that. That's just the way things are for them. It says a lot about the Witter family. This book also does a good job of integrating all of the story lines by the end in ways that I did not expect.There are also daydreams about zombies that are pretty random (like the ants in Everybody Sees the Ants). The bits about the Lazarus Woodpecker are funny to me because I remember the bird in the news and my parents are birders so we were tuned into it. It did feel like there were a lot of different threads to this book, but in the end they are connected.